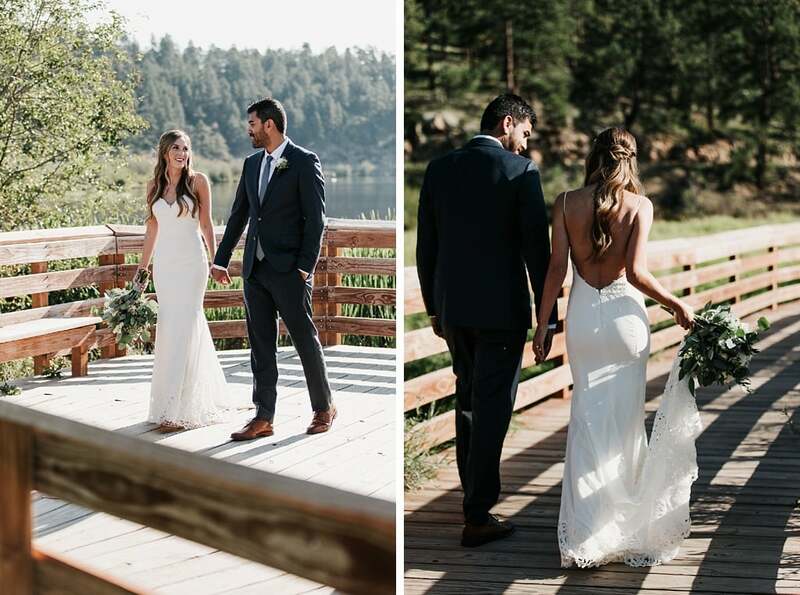 The bride and groom got ready for their Evergreen Lake House brunch wedding separately, before meeting on the boardwalk for their first look. I loved seeing Miguel in those final moments before Christy tapped his shoulder. 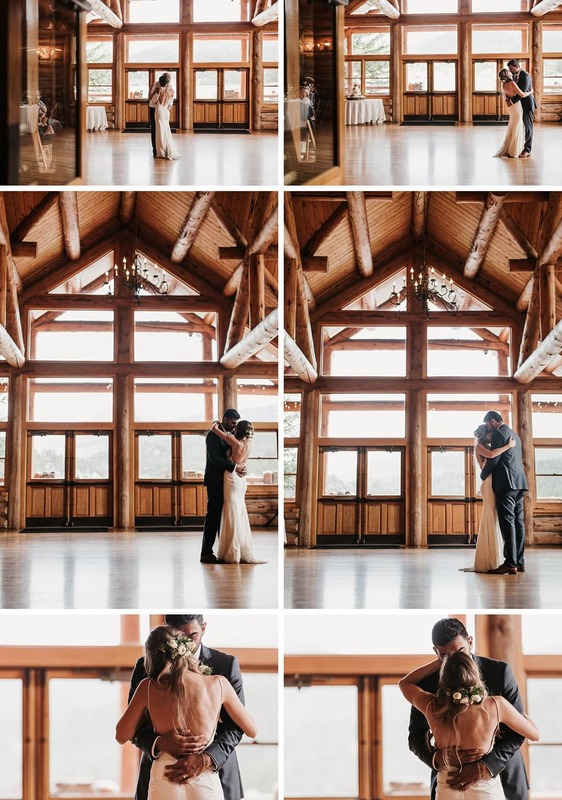 The anticipation is always so sweet, and I love when couples choose to share this moment in private before the ceremony. 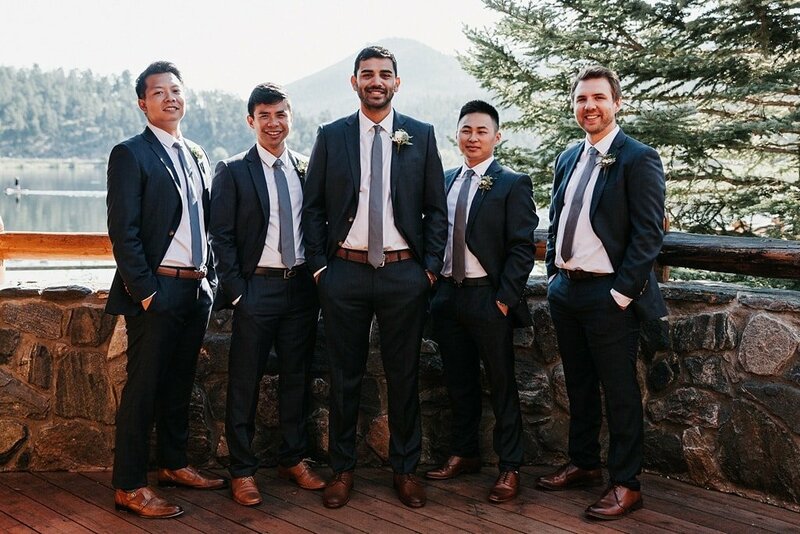 Especially with morning weddings, first looks also means we get to do the bride & groom portraits and wedding party photos before the ceremony, which is ideal to avoid that harsh noon lighting. 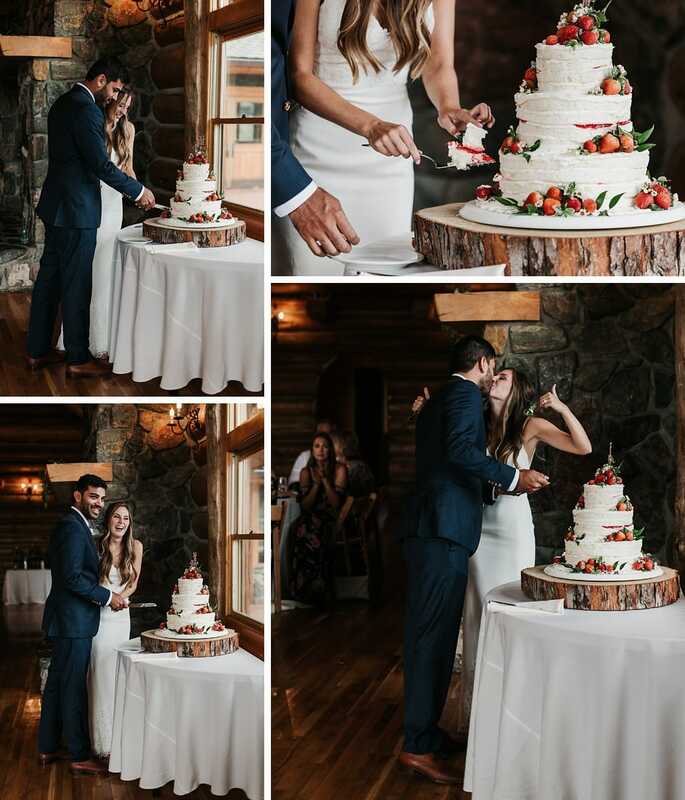 Christy and Miguel added so many personalized touches to their big day. Like having Christy’s father officiate the ceremony, and when Miguel used a fire truck to lure the ring bearer down the aisle. 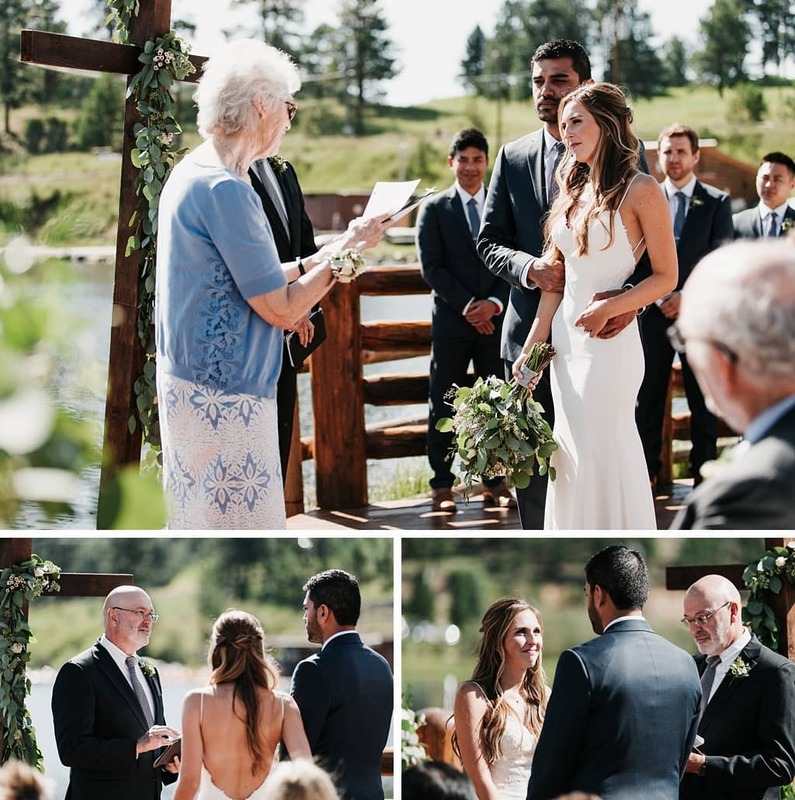 Christy’s grandmother did a reading of a love poem, and the couple also chose to do a unity sand ceremony together. 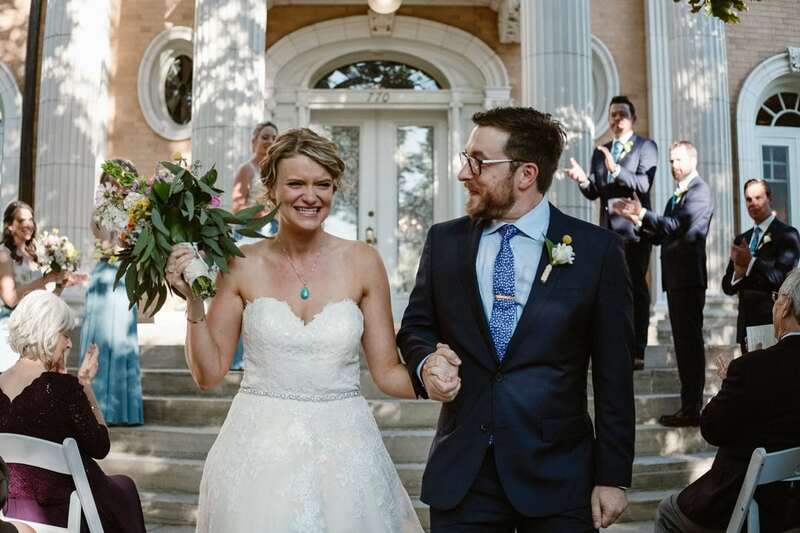 After the ceremony, their guests enjoyed a mimosa bar on the deck, before heading inside for brunch. 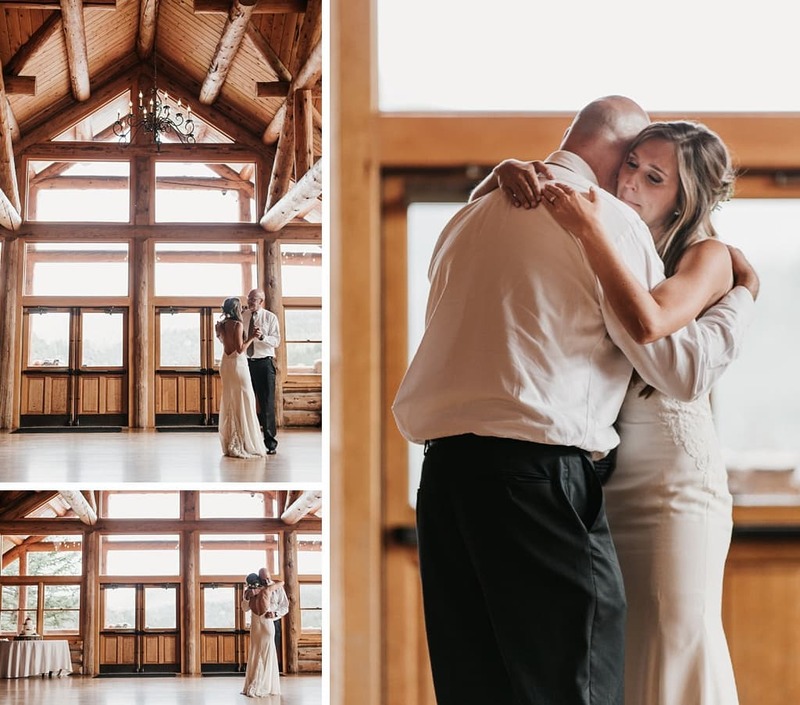 After brunch Christy shared a dance with her father, before finally getting her first dance with her new husband. 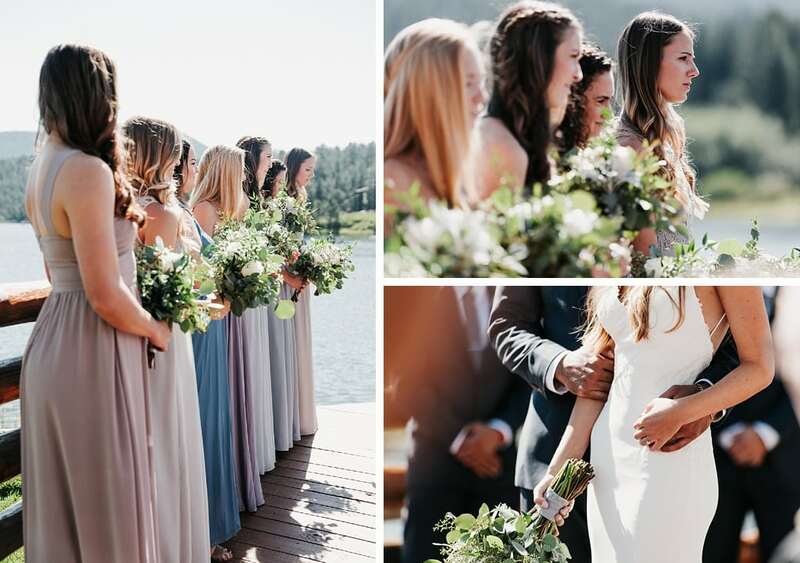 If you’re planning a wedding at the Evergreen Lake House, please get in touch and I’d love to chat more with you about doing your wedding photography! 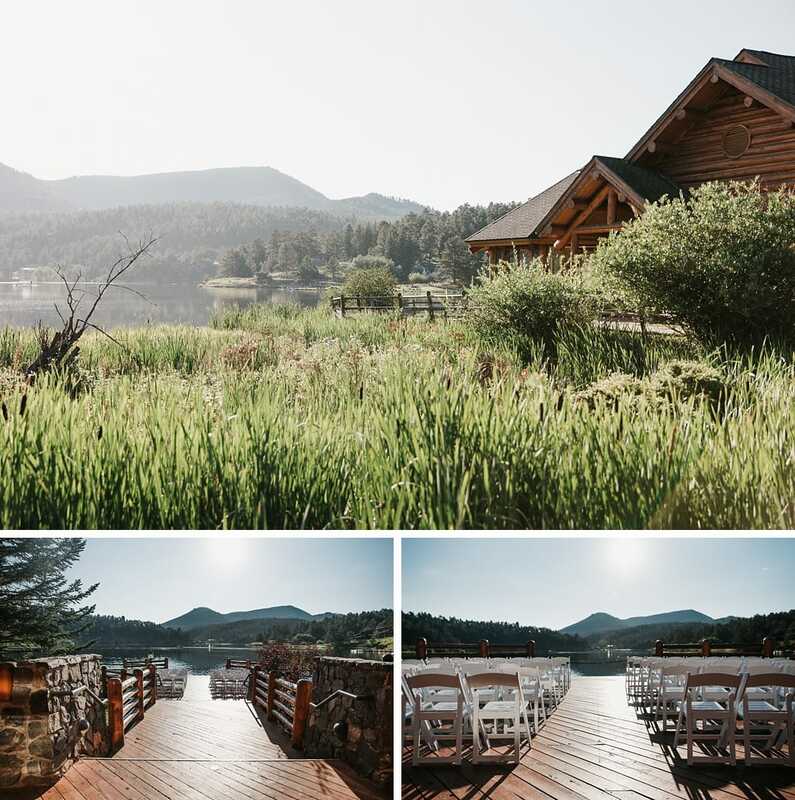 The Evergreen Lake House is such a beautiful venue for a wedding! It really made for some beautiful scenery. 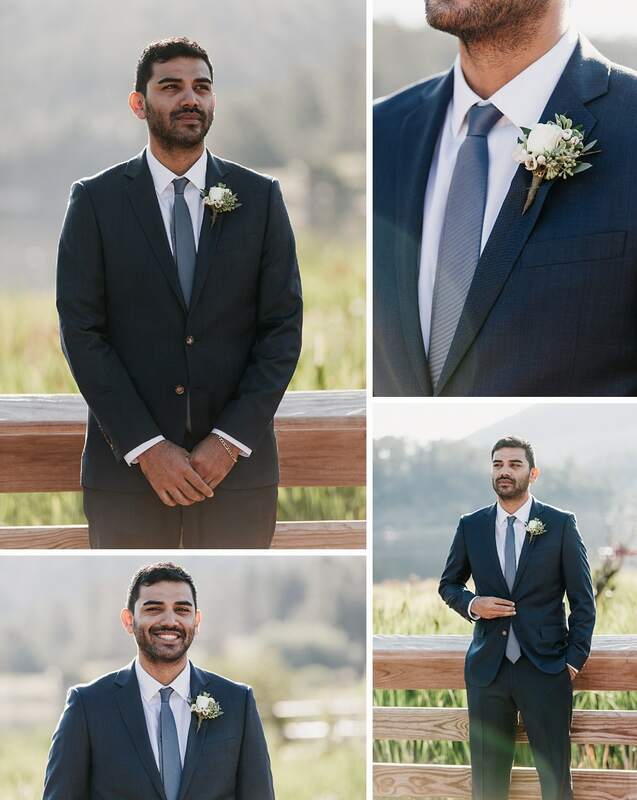 I loved the spot for the first looks! Everything is just perfect. We lol love Evergreen. I’ve Never been to the Evergreen Lake house but it is gorgeous! 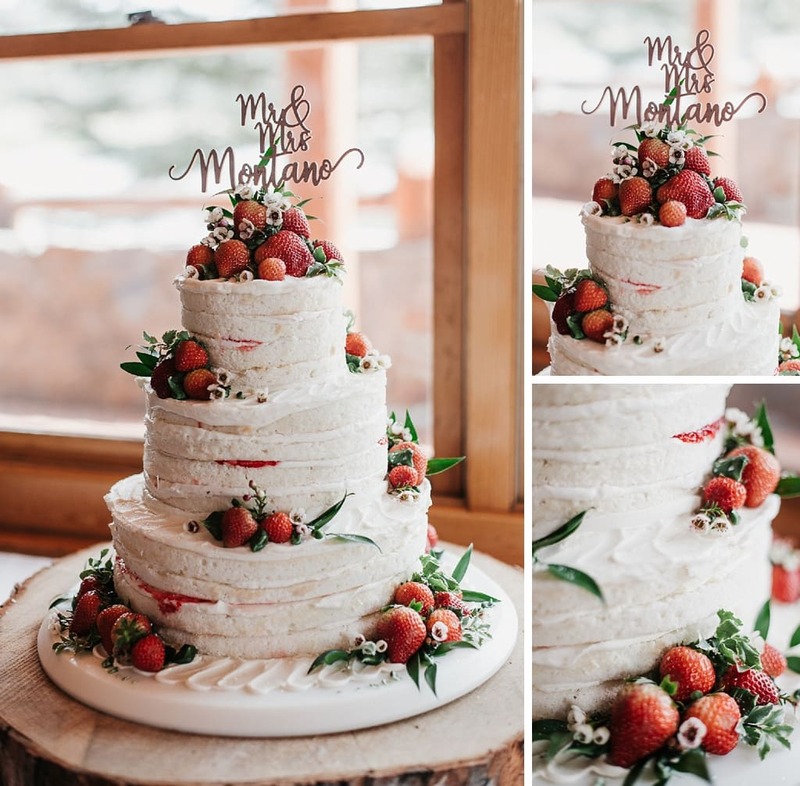 Their cake is so pretty with the strawberries. Yay I love the Evergreen Lakehouse! So beautiful and I absolutely love your style with the back lighting! 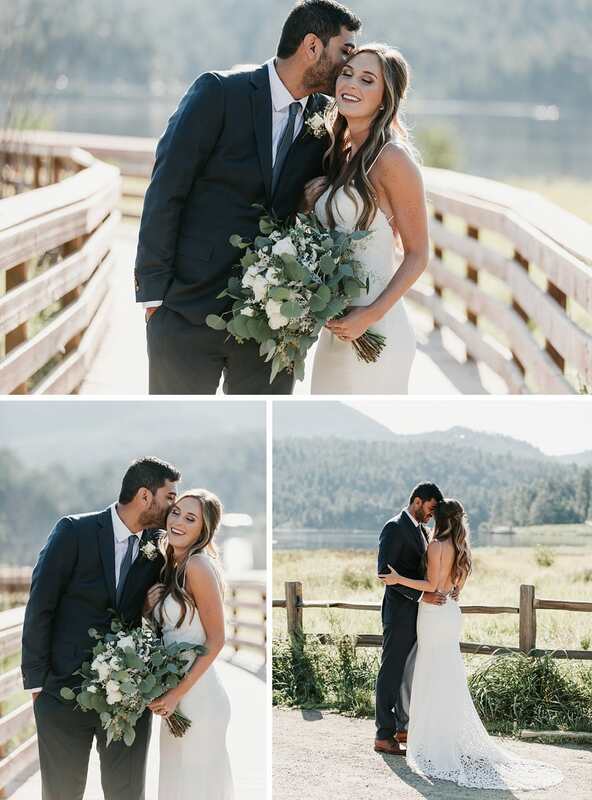 What a handsome couple! Her dress is too die for. 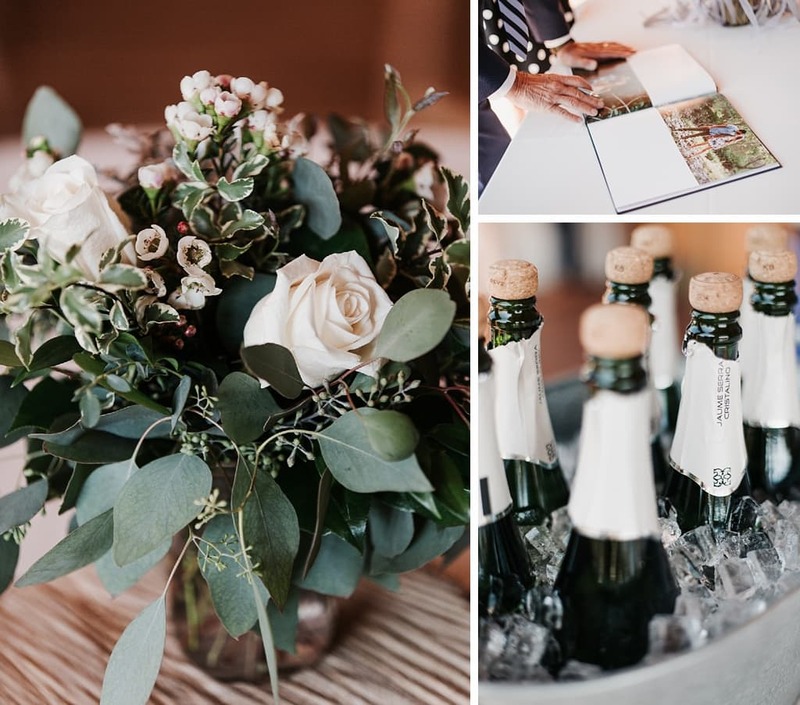 I am seeing more and more brunch weddings lately and I really like them. It’s less expensive and can be more relaxed. Evergreen Lake House is awesome no matter the time of day so who could go wrong, right? What a beautiful Evergreen Lake House! I loved the pictures on that wooden bridge, well done! You captured it well. 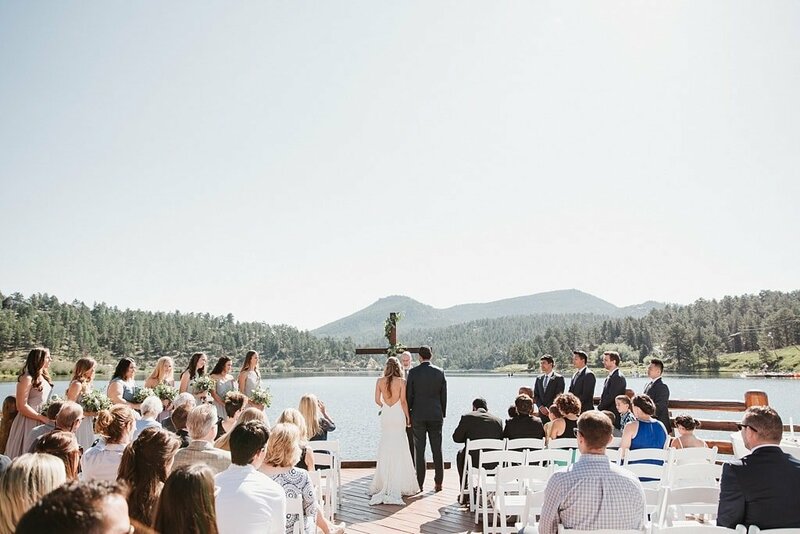 Oh, I always love weddings on the water! 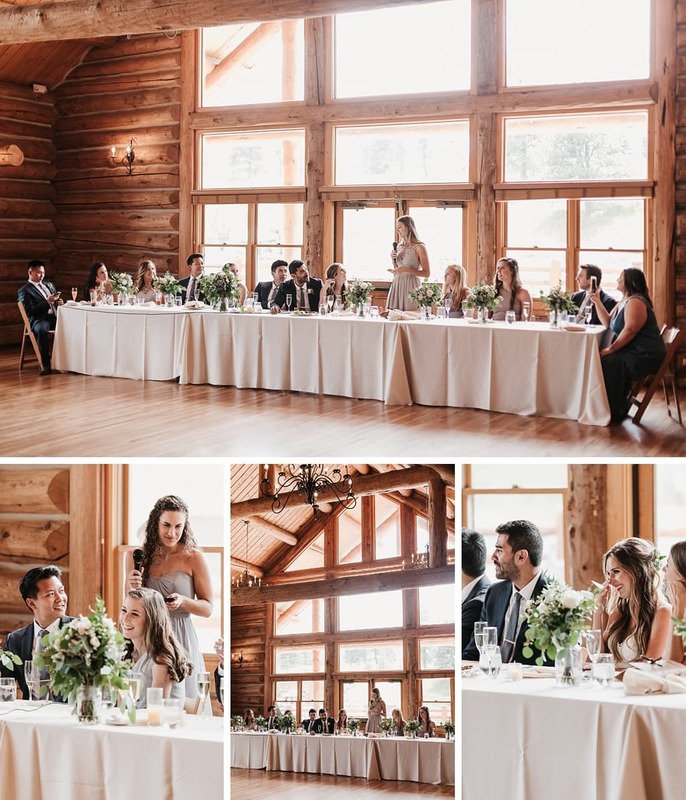 Evergreen Lake House is a gorgeous venue. Do you happen to know the capacity for guests? 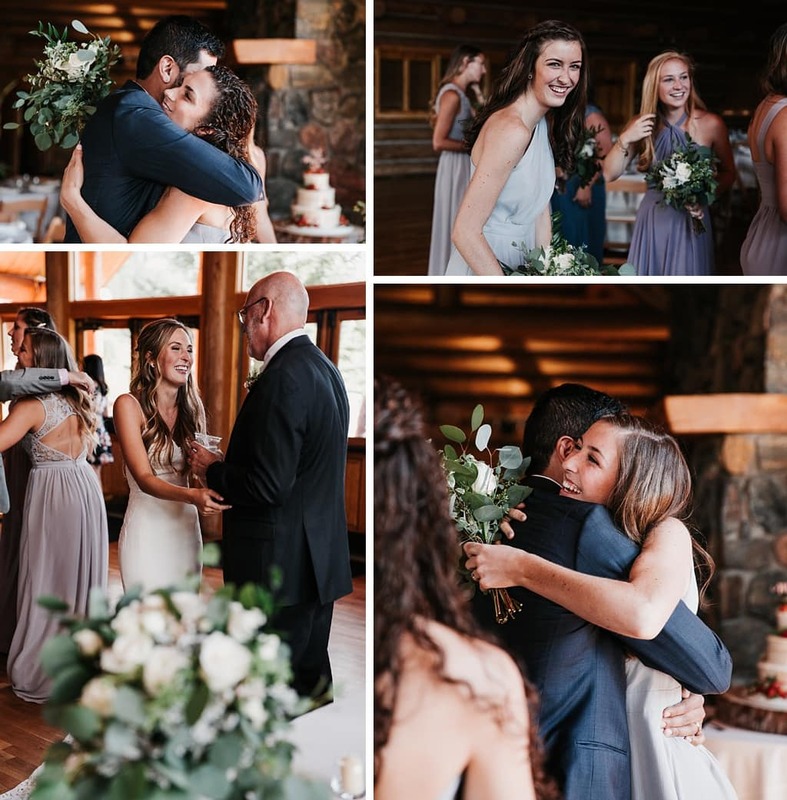 My favorite part has to be that her dad officiated… so personal and sweet. 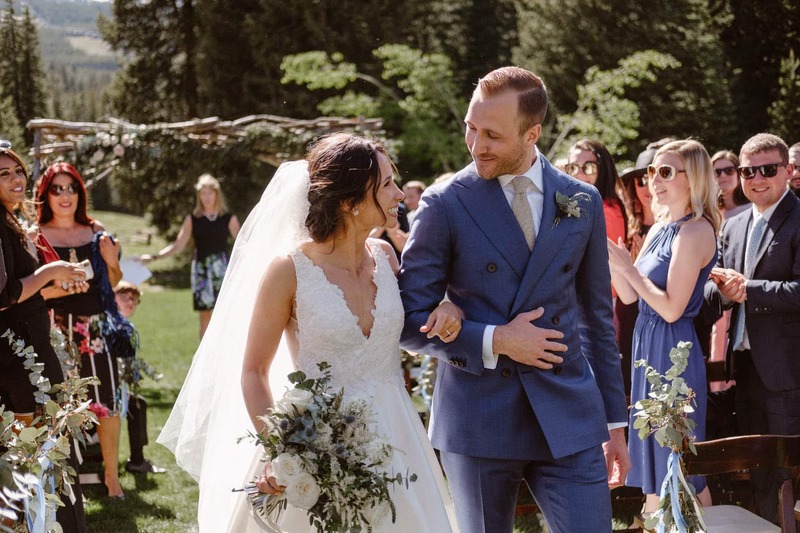 Congratulations to the gorgeous couple! Amazing photos and such a beautiful place! I love the light in your pictures and the colours are so vivid. Classy and beautiful. 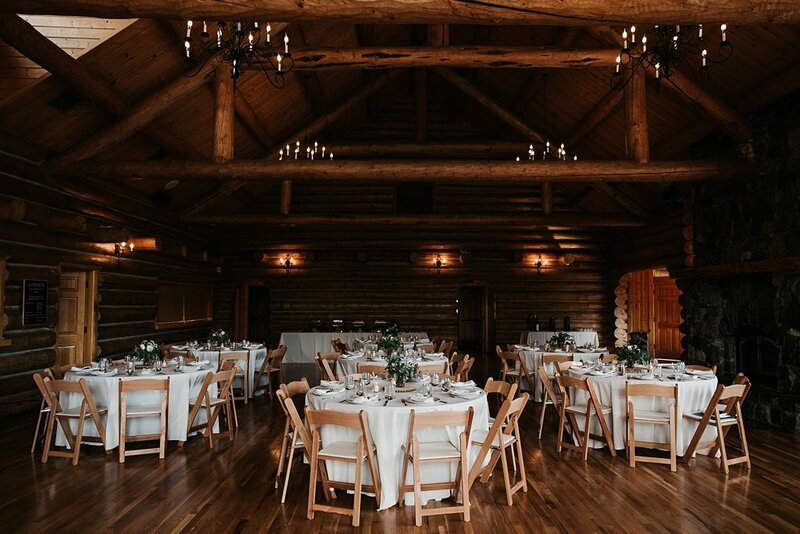 the Evergreen Lake House looks like the PERFECT place to get married! I can’t get over that backdrop. 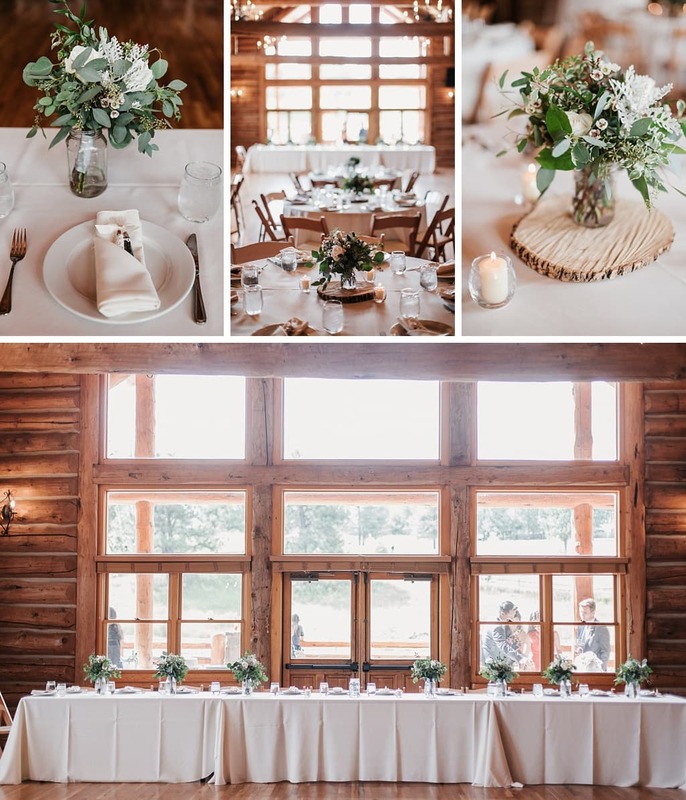 You did a beautiful job capturing this wedding! 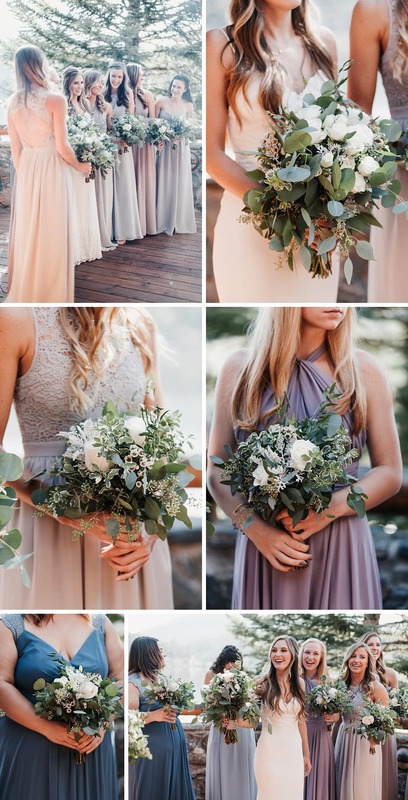 This is a dream wedding. Evergreen Lake House is absolutely gorgeous. 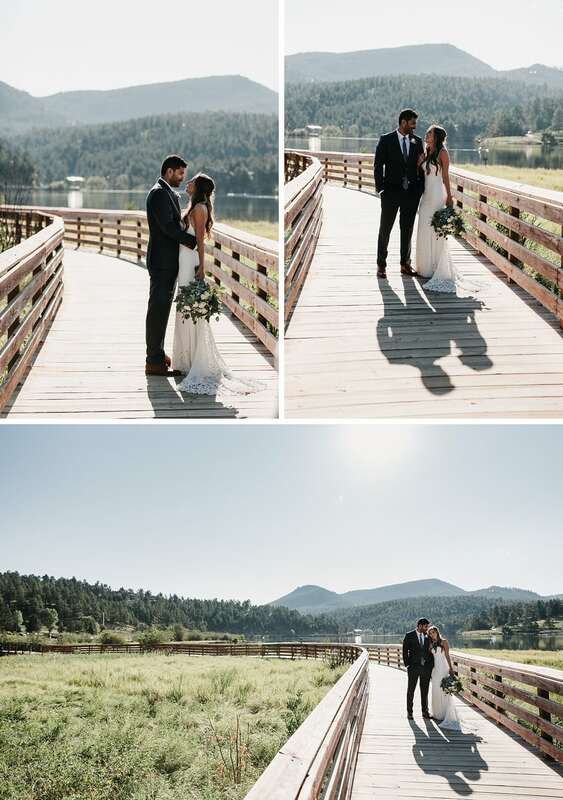 I loved how they chose the lake as their backdrop, so beautiful! 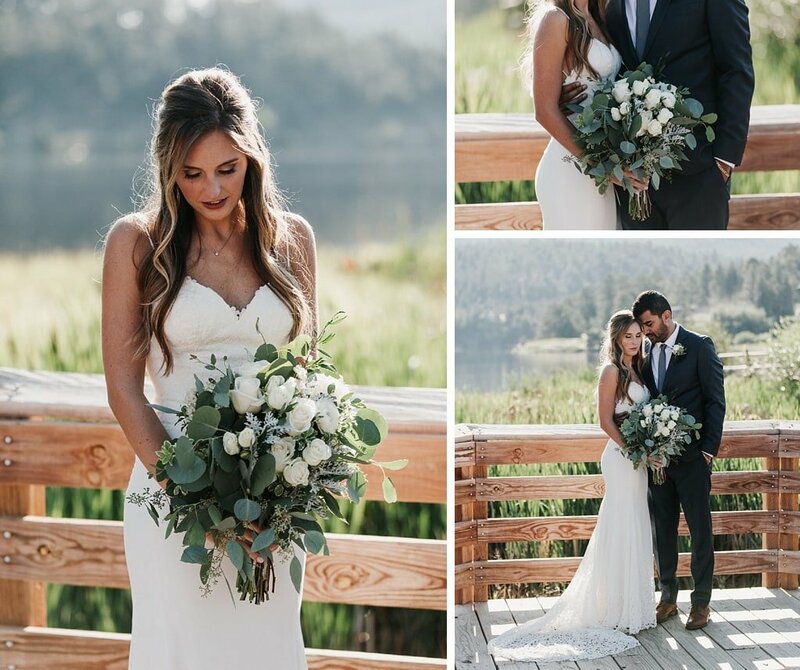 Their Evergreen Lake wedding was so beautiful! 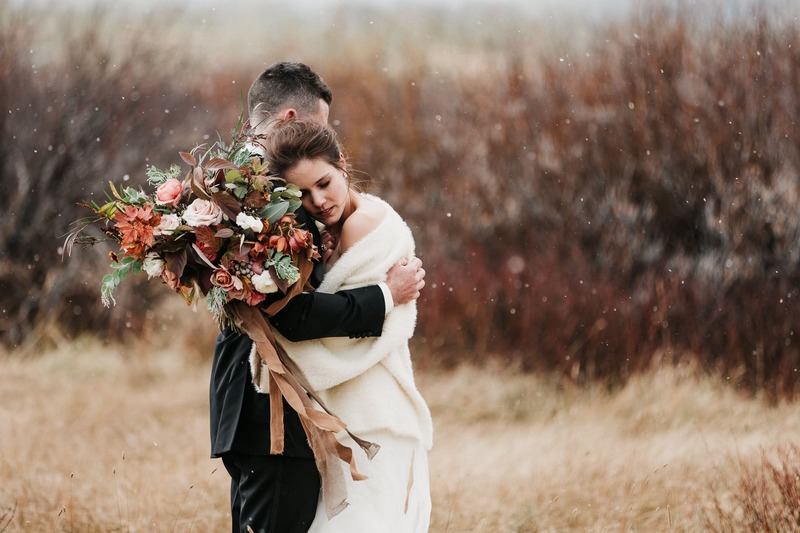 You nailed all those harsh light shots! Oh my gosh! 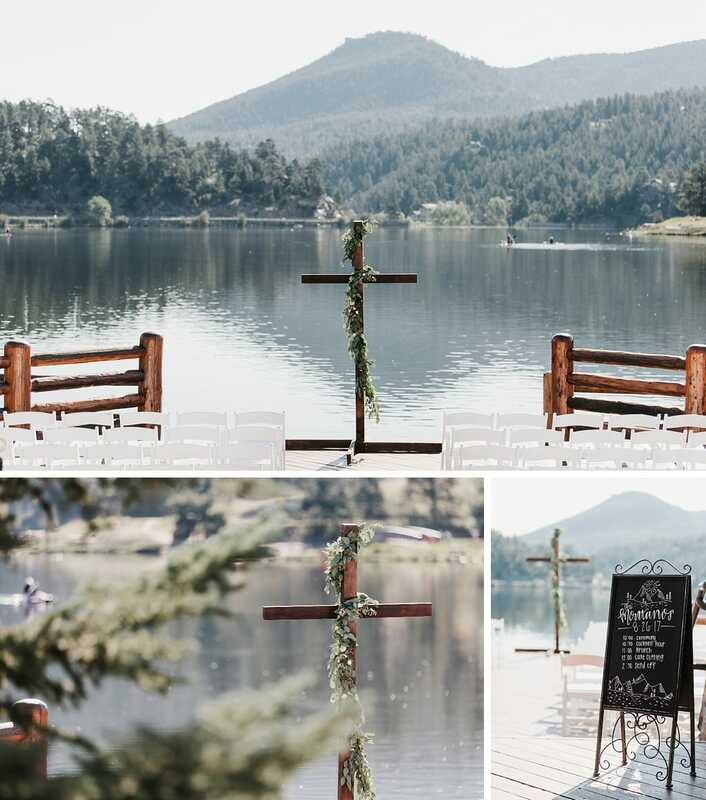 I want to get married again just to get married at the Evergreen Lake House! 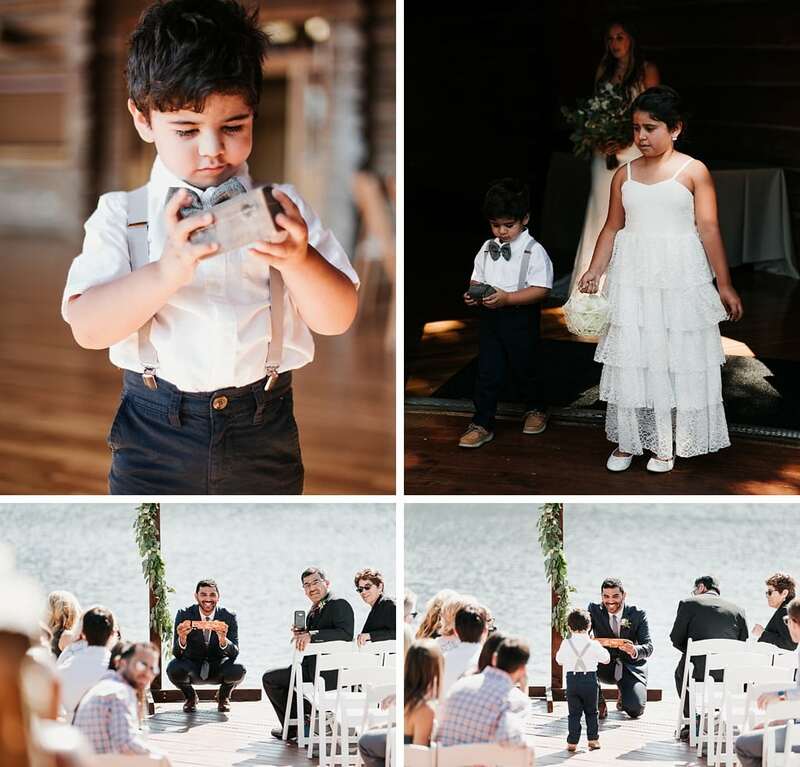 What a gorgeous day and you captured every moment perfectly!